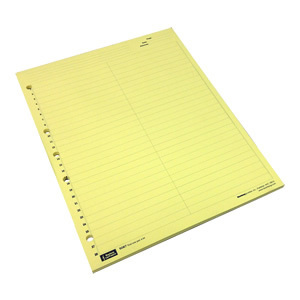 50 sheets, 8 1/2" x 11"
What is a legal pad? We call them “legal pads” because when they were first available in 1888 they were cut to legal size.  Read about legal pads here. Click for more litigation ruled legal pads.